This is a warm and hearty dish that's well suited to using up leftovers and is a real favourite with children. Cut the vegetables into florets and steam until just cooked, drain and set asside. Prepare all your other ingredients. 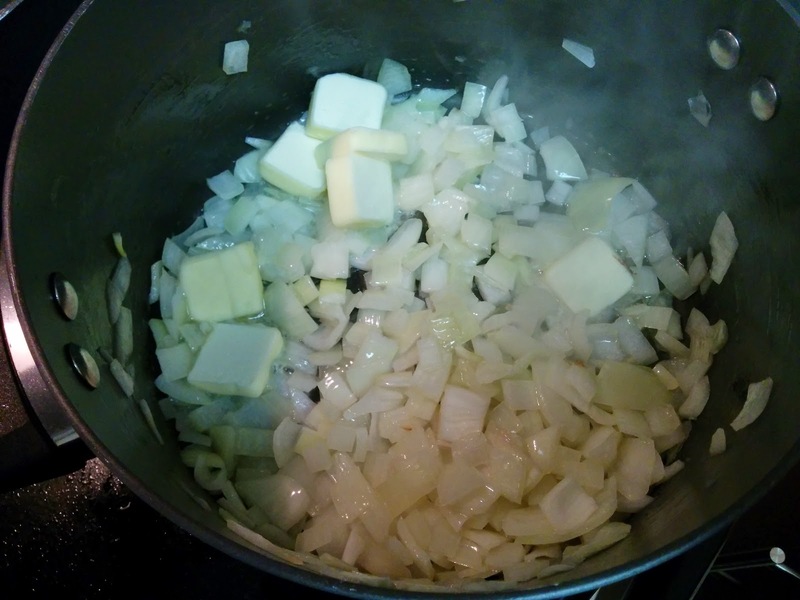 Dice the onion and add to a large saucepan over low to medium heat. Add the stick of butter cut into cubes and stir until the butter is melted. 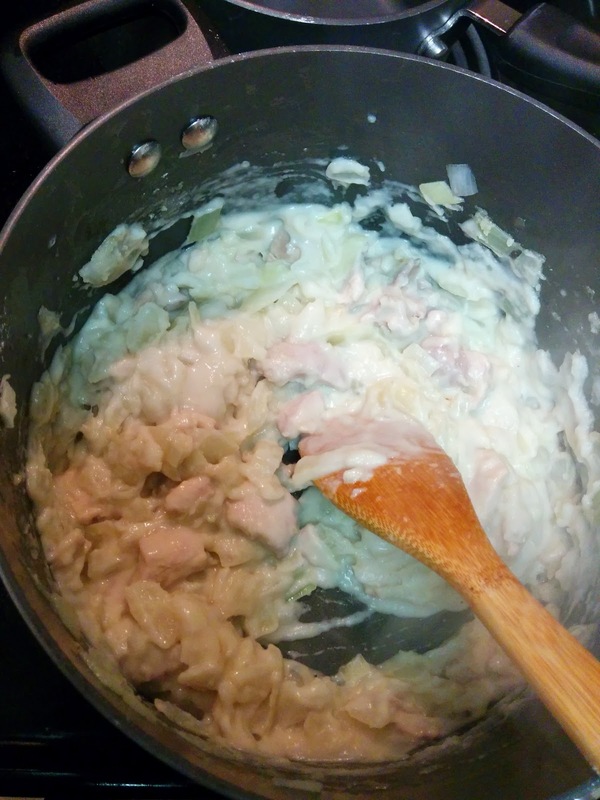 Sweat the onions in the butter until clear, then add the chicken. Fry until the chicken is cooked on a low heat, being careful not to burn the butter. If you choose you can use leftover pre-cooked poultry instead of fresh chicken; this is a great recipe for using leftover Turkey after holidays. Prepare your liquid ingredients and set asside near the pan, you will need these quickly after adding the flour. 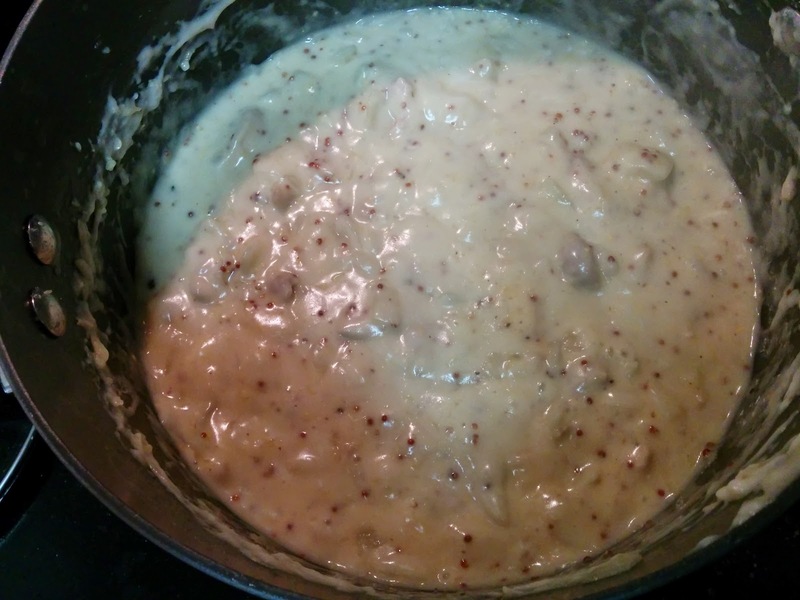 Add 2 tablespoons of flour to the pot and stir, the flour and vegetable mix will quickly tun into a roux and then solidify. Use almond or other low carb/gluten free flour if desired but it will change the texture. 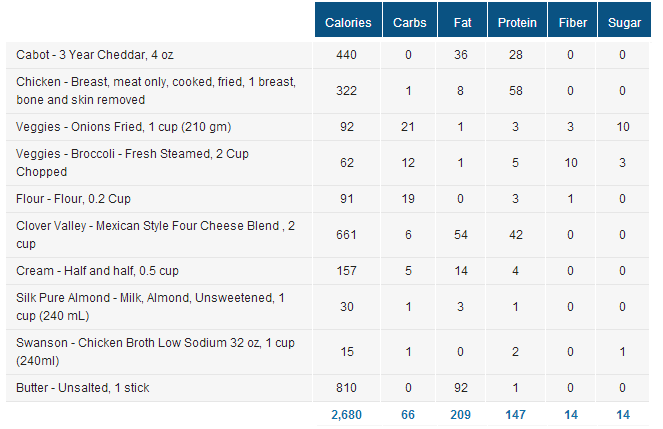 I advise using wheat flour and watching your carb count. Quickly before the flour mix browns begin adding your liquids. Alternate between almond milk and stock, adding about half a cup at a time. Stir thoroughly and make sure all liquid is incorporated before you add the next half cup of liquid. You should end up with a thick sauce with the consistency of glue - don't be tempted to taste it at this point since it contains no seasoning or flavour. 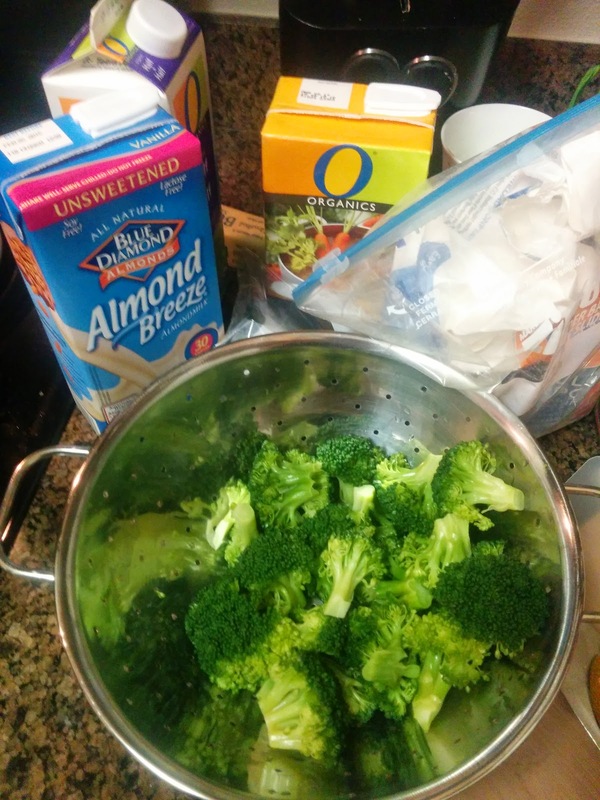 Once all the almond milk and stock are added add the half and half to add a creamy richer texture. You can substitute the almond milk & half and half with 1.5 cups of cow milk if preferred. Using almond milk and half and half gives the best texture - creamy without being heavy. Set asside 1/4 of a cup of shredded cheese, as we will use this for a crust at the end. 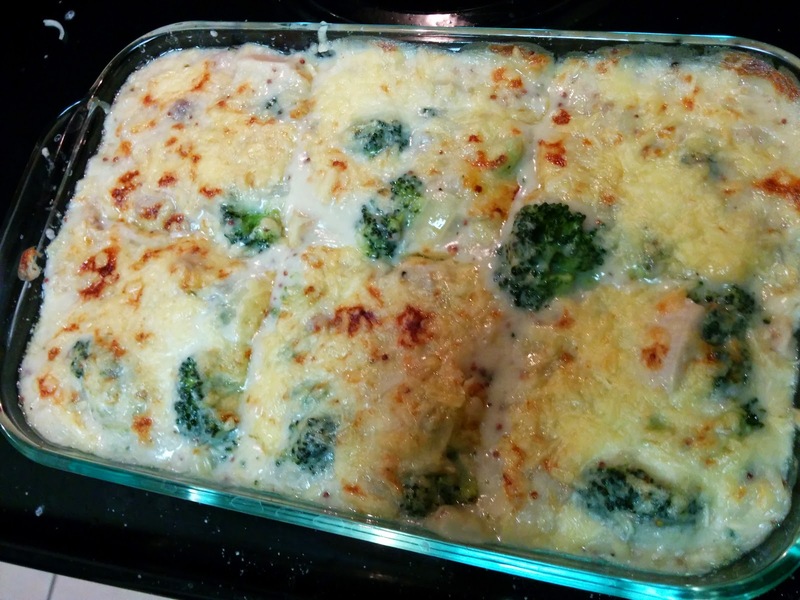 Using only around 60g (2oz) of cheese at a time add this to the sauce and then mix to melt. 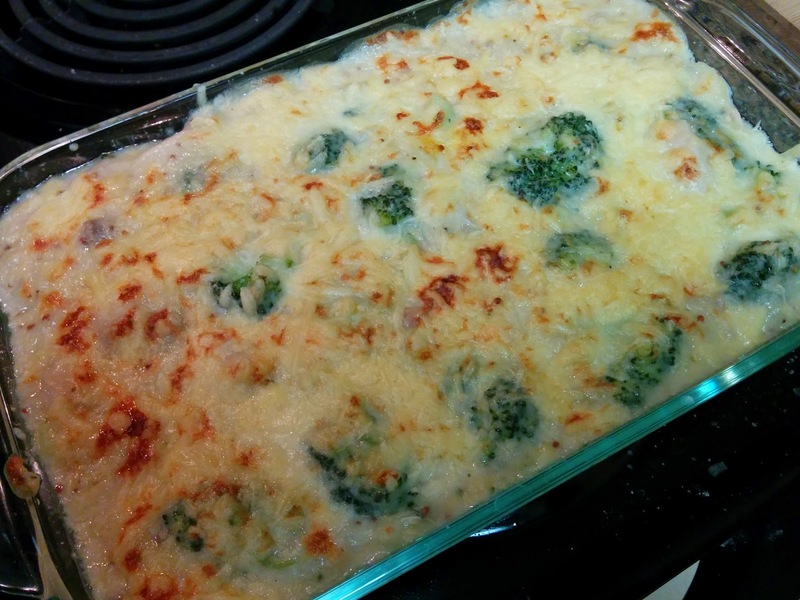 Once the cheese is melted into the sauce add the next batch of cheese. 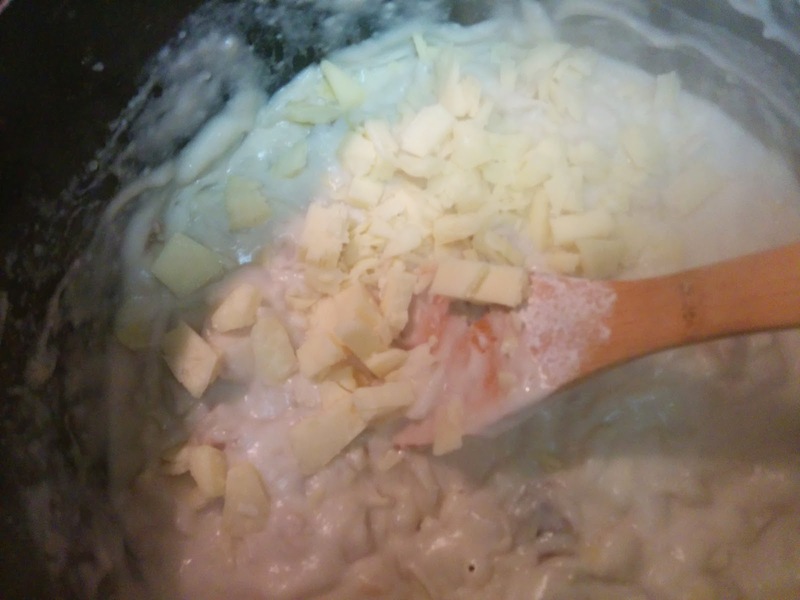 My recipe calls for half shredded cheese half sharp cheese to give a balance between taste and texture but you can use whatever cheese you have in the house, including soft cheeses. Once all the cheese is is melted into the sauce it should have a slight stringy texture to it when you lift the spoon and a reflective fatty look to it. 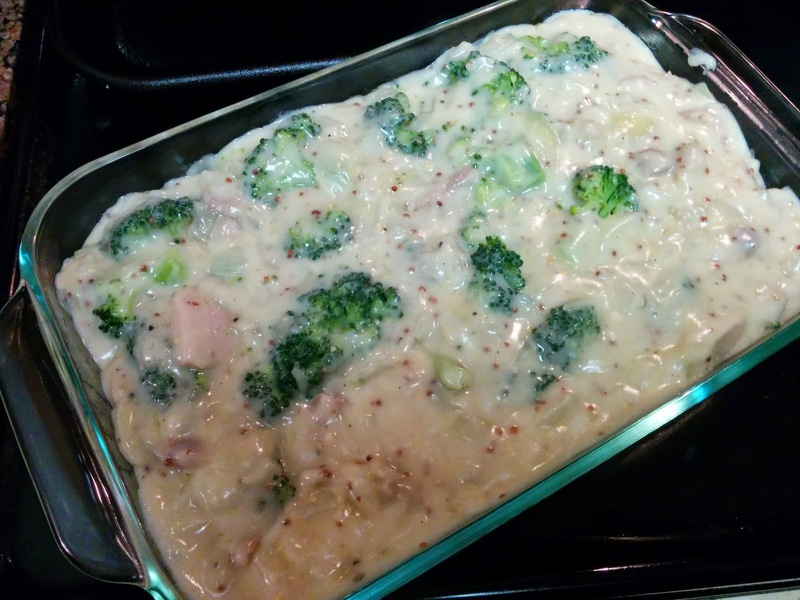 Pour the prepared mixture into a glass baking dish; sprinkle with the cheese set asside earlier and then brown under the grill (broiler) for 5 mins. Krakow makes wonderful sweets; sticky sweet drinks, perfect parfaits, warming spiced cakes and fruit specialties abound. You can easily lose count of the number of chocolate makers around the Old Town but this chocolate store and cafe was a real highlight for me and a great place to pick up souvenirs. Upstairs is a gorgeous coffee shop with quaint doilies and personalised crockery. The staff speak minimal English but do offer an English menu. They serve amazing hot chocolates and coffees. Or if you prefer they'll serve you an entire cup of melted chocolate straight from their kitchens. Downstairs is a veritable wonderland of chocolate purchases. Many of these are just novelty formations of pure chocolate in white, milk and dark. Adult items could be found for buck's and hen's nights, touristy formations of Krakow Dragons and Castles or Christian symbols for Easter. If you're looking for a reasonably priced gift in Krakow they offer a number of pure chocolate tablets gift boxed with the Krakow Castle on them. For a more upscale gift consider getting a box of handmade chocolates. Krakowska Manafaktura Czekolady make gorgeous marzipans from a variety of nuts, cream truffles and liqueur fruits. They offer gift boxing that is designed to endure a flight home.